So, we have spent weeks waiting for this news to become a reality. We’ve all deliberated, cogitated and digested, and finally we have arrived. Friday night sees the re-opening of The Rolleston. In the first of two nights of music to usher in the new era, Innes Sibun will be taking time out from the European summer festival circuit to bring his new incendiary, electric blues outfit, The Malone Sibun Band (pictured) to play this opening event. Also putting a bluesy twist on a range of well known classics and pre-loved songs, all genres from funk to rock to reggae and of course blues itself, The Blind Lemon Blues Band can be found at The Queen’s Tap. If you want something seriously funky then Felix and The Funk, the clue is in the name can be found at Swiss Chalet with a plethora of dance, soul, disco, pop and funk. It looks like serious groove is back on the menu. You know how people say that no big names ever come to Swindon or if they do they are some pop sensation and play in the cavernous, acoustic hell that is the Oasis? You know how people still go on about that time that (insert generic cover band name) played a half decent version of a Queens of the Stone Age song? You know how most original bands are not as good as cover bands? Well all those arguments get blown out of the water tonight as Avon plays The Victoria. Avon? Yes, Avon. Not only named after a QOTSA song but also featuring their original drummer, who also happened to be the original drummer for Kyuss, the band that spawned them. So options are go and watch a cover band on the basis that you will get to hear songs from your record collection or go and watch a guy who helped put them there. And therein lies the crux of the big debate I guess. Guy Fawkes night is upon us so not only a time for fireworks, partying and cowering pets but also time for those online wits to roll out the old adage about him being “ the last person to enter Parliament with honest intentions”. So if your idea of honest intentions is a religious mercenary being hired by the English aristocracy to commit mass genocide then yes, spot on. So much for the political minds and rhetoric of generation X-box. Right, off the soapbox and into the mosh pit. Okay, he may not be a living legend as such, but he will certainly do until one comes along. Edward Felix Tudor Pole (pictured) may sound like a villain from the first series of Blackadder (the one that never gets the TV re-runs) but has had a long career as an actor and TV presenter. But it was as lead hooligan of the ragged punk gang Tenpole Tudor that he is best known. Tonight at The Victoria you can catch the man himself. Punk was an attitude not a form of music and it is an attitude he still operates with as his swaggering rock and roll, unpredictability, powerful performance and sheer energy will attest to. Support comes from that sweary, lairy punk two-piece, 2 Sick Monkeys. As regular followers of my scribbling will be more than aware, tribute bands are not really my cup of tea, but there is one aspect to them that I find fascinating. The band’s name. It’s an area that can lend itself to acts of creative genius. After all why call yourself the Real Smiths, when you can be The Iain Duncan Smiths and why be the plain old Bowie Experience when you can be Camp David. It’s an art form in itself. Others that smack of sheer brilliance include J’Amy Winehouse, Motorheadache, Sean Connery’s favourite band Oasish and the total honesty of Kaiser Thief’s (“I just nicked a riot?”) Mentioned in dispatches are – Repeater Gabriel, Husker Don’t, Surely Bassey and vegetarian nu-metallers – Quorn! And if you are into odd band names then you might be interested in Oui Legionnaires at The Victoria tonight. Odd name, odd music, odd people. Take a dose of angular indie, throw in warped pop melodies and punk energy, pile it all up into a heap and stand on the top. From there you may just be able to catch a glimpse of the genre that the band fall into. Best you just go along and work it out for yourself. 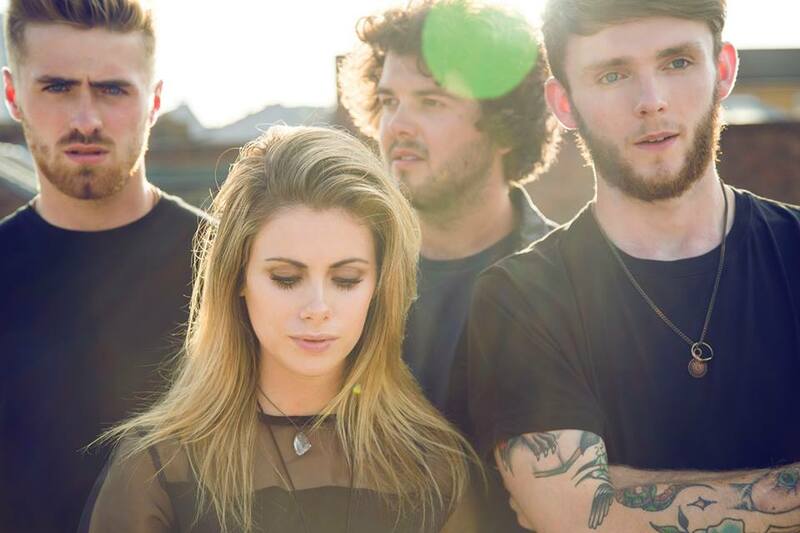 Support from punk s Rebel Station and two-piece blues outfit The Harlers makes for a very eclectic bill. Friday delivers the first of four Songs of Praise shows over the coming week. 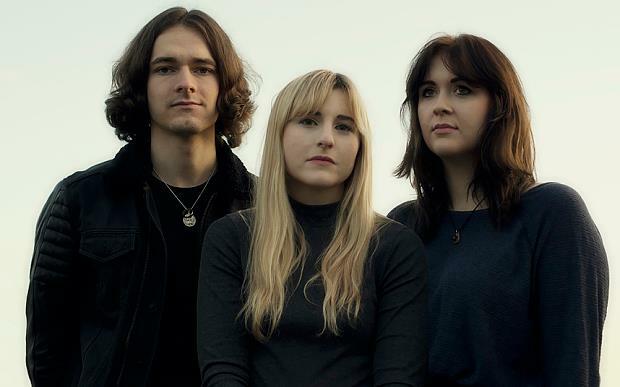 Staying at The Victoria, a line up of cinematic indie and dream pop vibes courtesy of the welcome return of Wyldest (pictured) a band with its formative roots in Swindon but now making waves on the national circuit. Fans of Warpaint will want to check out the same sort of musical furrows being ploughed by Cat Bear Tree and the night is kicked off by the brilliant White Lilac, a blend of post punk drive and Cocteau Twins like atmospherics. At the other extreme, The Rolleston plays host to an act that is lewd, crude, “ Life-affirmingly puerile” according to no less than Charlie Brooker, hilarious and offensive in equal measure and it is brilliant. Mr K and The Gang (even the name has to be edited for general consumption) bring the UK tour to Swindon in the company of local drum and bass noise-merchants 2 Sick Monkeys and comedic punk from Mike Gibbons. But fear not, less challenging options are also available. The Locomotive, for example, has more familiar offerings via funk, blues and soul played in a very improvisational way, old songs with new twists from Chameleon. Syntronix at The GWR are riding the 80’s nostalgia trip, not the one were you are stood in a muddy field watching The Wonder Stuff wearing a Coal Not Dole t-shirt drinking overpriced lager out of a plastic beaker (i.e. mine) but one that sounds more like the Top of The Pops version, synth-pop at it’s finest from Kraftwerk to Depeche Mode, New Order to Ultravox. The big one for Saturday happens at The Castle with the long awaited return of The Pagan Fringe. There are so many reasons to go to this. It is 25 years since their album Gathering Light was released and you can now pick it up on CD. Proceeds will go to the Swindon-Calais Link Refugee Aid Charity, reason alone to support the gig and buy the CD. Maybe go along as a way of honouring the much missed Steve Carvey, the bands original drummer. On top of all of that go along for great music and to catch up with people you last saw propping up the bar of The Monkey Club and other long forgotten, half-mythical venues. At The Locomotive, the sad news is that Colour The Atlas have pulled out of the Songs of Praise gig but you can still catch the brilliant Balloon Ascents, a rising Oxford band who mix dreamy wooziness, pop hooks and darker undercurrents. Tributes are also flooding in, as it were, The Rolleston have The Doors of Perception which ticks the 60’s box, The Victoria has Lizzy and The Banshees, so that’s the late seventies sorted and Riffs Bar has the next decade covered with Hot Rox playing an 80’s set. The third Songs of Praise offering can be found at The Beehive on Sunday with Case Hardin’s fantastic blend of haunted country meets lo-fi rock and roll and support from The Incredible Disappearing Boy who sound like Wilco writing underground Americana classics for a late night drive along the M4. Two bands about which I just can’t say enough nice things. Gig four from Swindon’s seemingly busiest promoters is at their usual pitch at The Roaring Donkey on Wednesday with the politically astute Steve Leigh from Kitchen Sink Drama’s and a rare set from Graham Mattingley. Blimey, that’s quite a week. It isn’t too much of an exaggeration to say that John Peel shaped contemporary music broadcasting in a way that few others ever did. Through radical programing, a truly eclectic musical taste and by championing bands that would otherwise have remained unknown, he single-handed created the template for music radio, as we know it today. The reason I mention this is that Saturday marks 10 years since his passing and I for one salute you sir. You were a lighthouse in an ocean of music mediocrity. More of that later in the article. And having mentioned the great man, tonight has a suitable eclectic and musically left of centre feel to it. At Riffs Bar, Lifesigns will be reminding us that progressive rock isn’t the indulgent and retro minded genre that some would have us believe. Quintessentially English soundscapes are constructed from the usual prog. pallet but brought bang up to date with slices of melodic rock and pop and a very accessible nature. Songs of Praise at The Victoria is by way of an album launch this time, as Port Erin unveil their latest release, Floating Above the City. Taking the experimental, space rock elements of their earlier days and mixing it with the ambient, jazz infused vibes of more recent days has produced an album that is both imaginative and exploratory yet tuneful and, dare I say it, commercially viable. Support comes from the sonorous and somnolent acoustic dreamscapes of Andrew Burke. The Beehive is the place to be to catch the mercurial mix of underground pop, psychedelia, wit and wisdom of Anton Barbeau. Acoustic music is high on the menu for Friday. Child of Imber is a duo that mixes delicate acoustica, soaring vocals and thoughtful lyrics and they can be found at Riffs Bar for the regular acoustic session. For a high-energy take on the genre then you should definitely catch Sam Green and The Midnight Heist at The Victoria. Theirs is a blend of blues from the Old South and the more pastoral sounds of an English folk dance and the result is the best freewheeling, roots-rock party you have ever been to. Support comes from psych-pop trio Emperor Yes and the twin guitar dexterity of Bren Haze. Rock fans also have a lot to shout about. If original music is your preference then Level 3 is the place to be as A Way With Words, DIRTE, In Bloom and Over to You offer a heady mix of alt-rock, punk, metal and grunge, a theme that will be continued by the Reboot club night that follows it. Meanwhile upstairs at The Rolleston, Metalhead will be playing classic rock and metal covers through the ages. 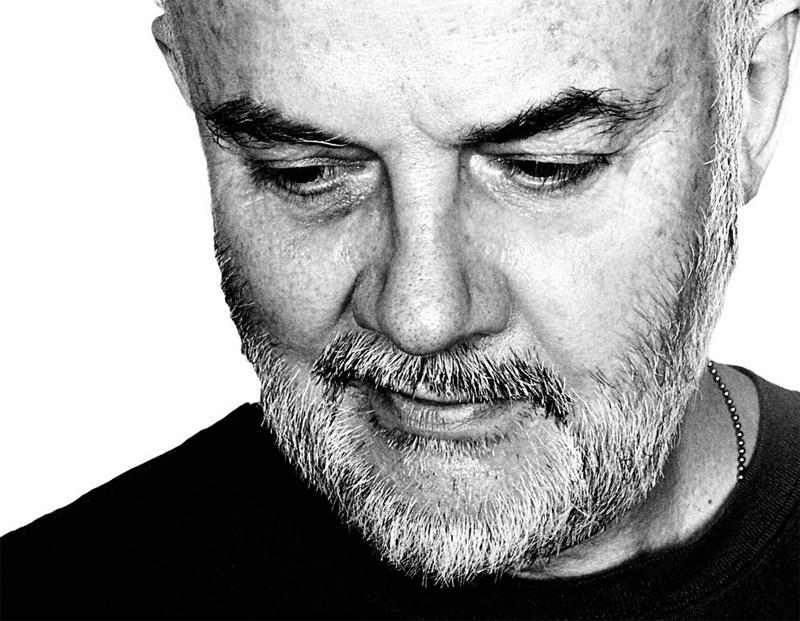 As mentioned in the introduction, Saturday marks the 10 year passing of Our Lord John Peel and in his honour The Victoria have a night dedicated to the man himself with suitably challenging and offbeat acts. There will be fast, furious punk with sweary between song humour delivered in machine gun salvos from 2 Sick Monkeys. The (Legendary?) Chaos Brothers will provide abrasive punk and sleaze rock in the style in which it was originally intended. Coasters are all about the contemporary sound of acoustic music with a punk end drive and Ian Doeser does what he does best, abusing guitar and audience in equal measure. I think John would find it all rather amusing. But there is another famous John in town as well. John Coghlan is best known as being the drummer with Status Quo and he brings his current band to Riffs Bar. But this is no tribute band but a set that mixes the bands big numbers, lost classics and songs never performed before played in the style of the 70’s heyday by the man who was the bands engine room. If anyone is entitled to reappraise those songs I reckon he is. There is also a bit of a blast from the past at The Rolleston with The Wirebirds. Although predominantly a blues band they add in rock, west coast psychedelia and even more contemporary sounds and add to that the remarkable vocals of one time Babe Ruth vocalist, Jenny Haan, and you have something pretty special. Final mentions go to Bob Bowles who plies his trademark blues at The Beehive on Sunday and a rare outing for The Chalice Folk Band who can be found at The Roaring Donkey on Wednesday. Maybe this is the calm before the storm; I guess a week sandwiched between two great local music festivals, the recent Stratton Stroll and the imminent Swindon Shuffle is going to be a bit light on gigs. 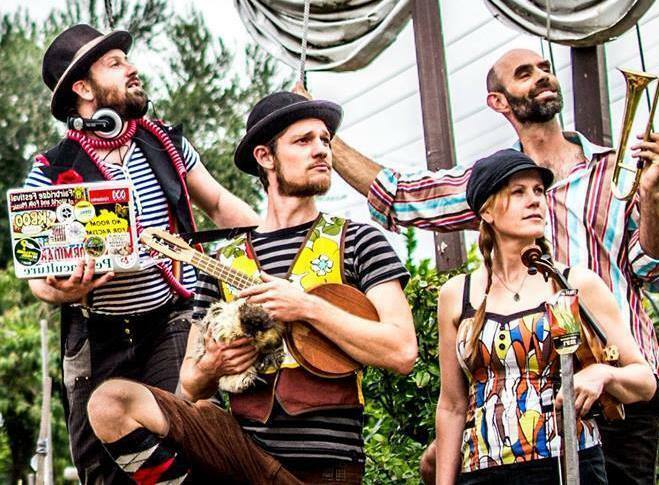 So it’s all about quality and not quantity and therefore perfect timing to have one of the most interesting bands of the festival circuit roll into town, the wonderfully named Formidable Vegetable Sound System (pictured). Hailing from Melbourne, Australia and featuring the familiar face of frequent musical visitor Mal Webb, this band combine the vintage sounds of the speakeasy, brazen brass and wonky ukulele sounds with the principles of permaculture, into what they describe as ecological electro swing. A very niche market yes, but you have to admire a band who put out a whole album on the subject of sustainability but which doesn’t require you to buy a djembe, tie die a shirt and knit your own yogurt. Catch this amazing band at The Beehive tonight. Those looking for a more rock and roll experience will find what they need at The Victoria with The Brompton Mix. Mentored and managed by Rick Buckler from The Jam, which probably tells you a lot about their sound and style, this Woking four-piece mix up all the best bits of punk and rhythm ‘n’ blues; from The Clash to The Stones to Elvis and everything in between. Local support comes in the shape of Burnthru. Fans of acoustic music have a treat waiting for them at The Regent with their regular Acoustic Circus which this month features Sumita Mujumdar and her magical blend of poetic dream pop, the wit and wisdom of Nick Felix and Billyjon and the Brosephs. Elsewhere you can catch a tribute to the mercurial music of David Bowie at The Victoria and The Rolleston has rhythm ‘n’ blues standards with Shades of Blue. If you are into your punk, then you have a choice of gigs to be at on Saturday as two sets of great bands are to be found in town. Healthy competition? Bad planning? I don’t know but either way there is more punk on offer than you can shake an eighteen-hole Doc Martin Boot at. At The Victoria first generation punks 999 deliver their high energy, highly infections, no nonsense, snarling melodies and remind us why they have lasted so long. Support comes courtesy of a rare reunion from psychedelic, deranged, swamp-fuzz outfit, The Chaos Brothers. Just when you thought that it was safe to go out…. The other punk serving suggestion can be found at The Rolleston in the form of 2-piece legends, 2 Sick Monkeys; incendiary punk with a between song banter to match, circuit stalwarts 50 Shades of Punk and the sharp-edged, Strength In Blunders who always sound as if they should be hanging around at CBGB’s in about 1978…New York punk the day before it evolves into New Wave. Reggae and ska fans also have a couple of options. Vintage ska and rocksteady can be had live at The New Inn as The Erin Bardwell Collective play their Caribbean Day festivities and The Shocks of Mighty DJ’s will be spinning some great music at The Beehive. If you prefer a musical nostalgia trip then Going Underground will be playing post-punk, ska and mod at The Swiss Chalet. The big event for Sunday is a fundraiser at The Victoria. Kit Off For Cancer is an all day fundraiser with events and activities, a raffle and music from Banjovi, the areas number one banjo ensemble. At The Bandstand in The Town Gardens, Lazy Sunday Afternoon features Ells Ponting and her new musical vehicle, The Southern Wild the amazing young talent that is Rory Evans, plus your regular hosts Mr Love and Justice. Go and work on your tan and listen to some great music. vintage blues, ragtime, music hall and folk, not to mention an amazing musician. Finally, if classic blues-rock is your thing than spend the last evening of the weekend at The White Hart in Wroughton with The Lewis Creaven Band providing incendiary blues and righteous, not to mention riotous rock.